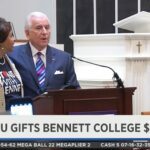 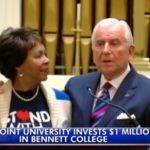 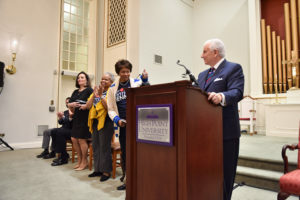 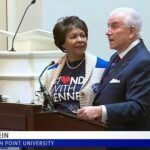 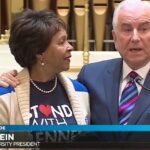 Bennett College President Phyllis Worthy Dawkins gives High Point University President Nido Qubein a thumbs up when Qubein made the $1 million contribution announcement inside HPU’s Hayworth Chapel. 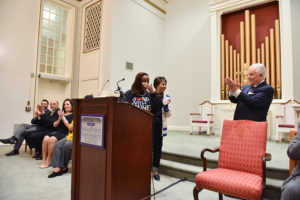 Bennett College student Brooke Ashley Kane, center, reacts to Qubein’s $1 million contribution announcement. 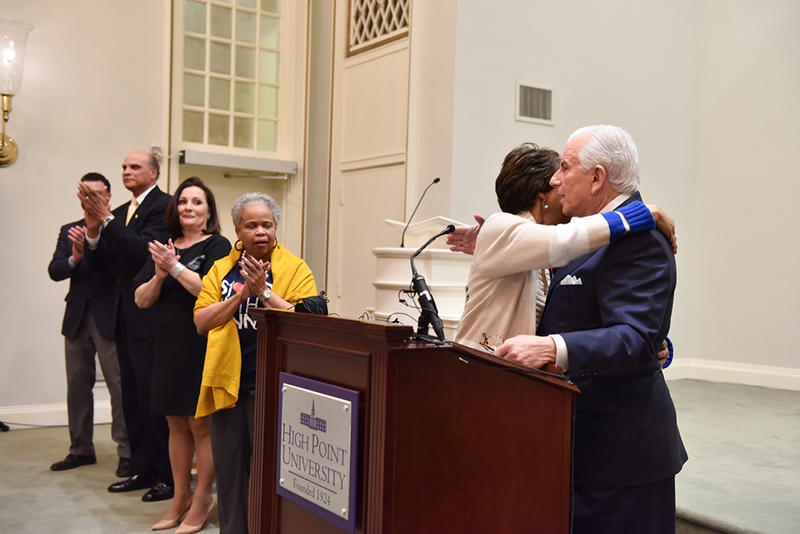 A large group of Bennett College students and faculty came to HPU for the surprise announcement.